The following is a guest post from regular contributor, Morgan from Morganize with Me. Computers are awesome time savers! They allow us to get more done, help to keep things streamlined, and provide a wealth of information that is easily accessible and at our finger tips 24/7. We no longer have to grab the phone book to look up a phone number, nor do we have to pull out a map when we need directions. Google is at our beck and call. And let’s face it, we’re a bit spoiled. However, with all of this fabulous information, our computers can quickly turn into cluttered and disorganized messes. Our once streamlined screens can easily become chaotic desktops. Only organize your computer in a way that makes sense to you! It has to work for you. I’m not going to give you specifics about folders and sub folders, because you have to construct it in a logical way that seems logical to you. Just create some sort of system. (2) Create an “action” folder. Have a place for things that need your attention. These can be emails, invites, or projects. Anything that requires action. Then make a habit to check this folder often, if not daily. Try to keep on top of this folder and also make sure to delete and/or move items once they have been completed. 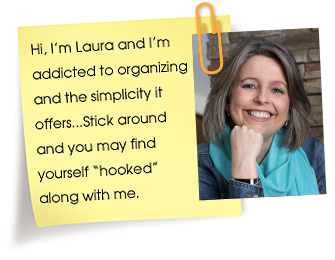 (3) Commit to deleting and decluttering as you work. Delete those photos you don’t like. Unsubscribe from those pesky unwanted emails. Declutter programs, apps, and documents you no longer need or use. And don’t forget to empty the trash too! Consider this like a daily sweep of your home. Keep on top of these small chores daily and you’ll keep the chaos at bay. (4) Clean up your computer. It’s a good idea to invest in a program such as Clean My Mac. (affiliate link) I personally use this program on our computers and it helps to get rid of the unnecessary downloads, duplicate photos, and miscellaneous copies. A program like this, will do the deep cleaning of your computer for you. It scans your computer and essentially cleans it from top to bottom. (5) Coordinate a regular back up. I can speak firsthand on how important this is. About two months ago, we had to completely restore my Macbook. THANKFULLY I had a recent back up available on our external hard drive. We use the time machine app on our Macs to coordinate and schedule regular back ups. Choose your method of backup and then make sure you are backing up regularly. Trust me on this one! 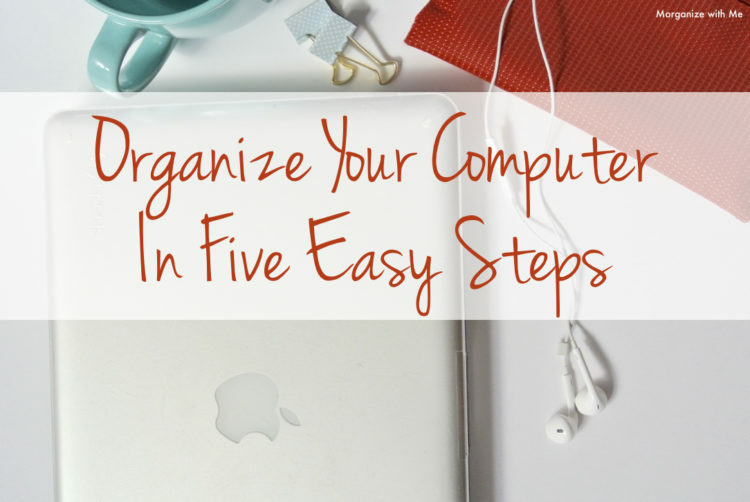 Keeping your computer organized does take time, but if you break it down into small increments, it can be manageable. And in the long run, you’ll save yourself time by having things more efficiently organized. 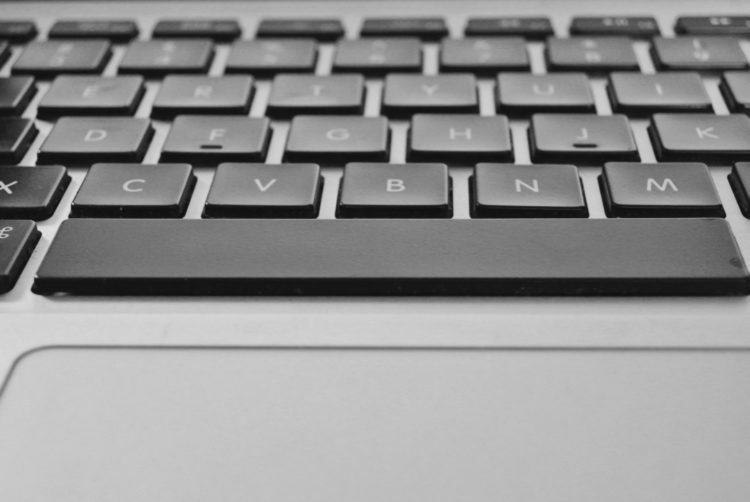 Start today by picking just one of the five steps, and work to implement the changes on your screen. Keep your computer acting as the true time saver that it is! I save everything to Google Drive – not does it keep my laptop nice and neat (I’m a little…particular about my new MacBook Pro!) but it means I can sync my files up my phone and tablet. I didn’t realise how useful it was until someone asked me for a copy of my resume and I could email it from my phone then and there! I’ve heard good things about Google Drive, from my kids. I need to check it out. Wow! I never have considered organizing my computer. I will be using this advice to start organizing, especially deleting the old photos that I don’t like. It takes me so long to find the ones that I do like amid the myriad of bad photos. Thanks for the advice. Those are all great ideas, thanks. I have trouble keeping up with my email, and just recently started unsubscribing from some. I do find having folders for my email helps a lot.